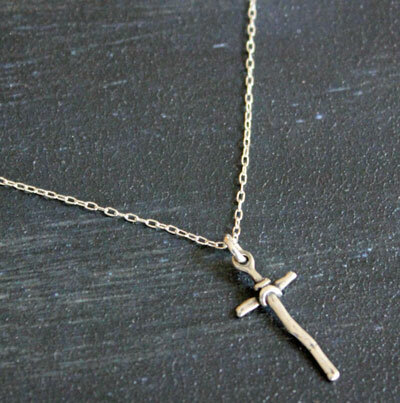 This very lightweight wooden-looking cross which is bound together by a small chord serves as a sweet reminder of how much he loves us and desires a relationship with each and every one of His children. It is very lightweight and measure about 7/8" long and 7/16" wide. Comes on an 18" mini drawn cable chain (sterling silver).